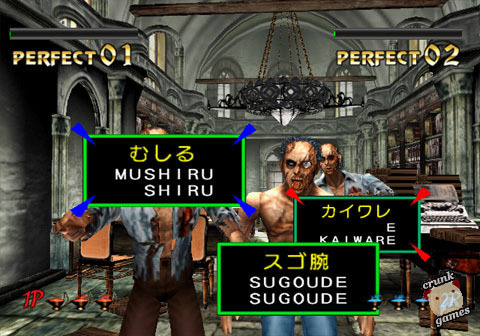 A Dreamcast and PC favorite resurfaces on PS2 with a host of new ways to blast zombies with the power of language. We’re not the kind to throw around the word "genius" here at Crunk Games, even when we believe in it — we’re crazy, but mindful. Yet when we do use it, it’s for games like The Typing of the Dead. A rogue creation from the halls of Smilebit that inexplicably reached mass production, TOTD became a surprise Dreamcast release and an instant classic, not to mention setting off an avalanche of like-minded typing games in Japan. The game’s received a series of yearly updates for the PC ever since (albeit never escaping its HOTD2 shell), which is a fine platform for the game but almost exclusively pigeonholes it as a typing tutor. But Sega’s seen fit to bring the game back to consoles, specifically the PS2. For fans of the series or just anyone looking for something a little skewed in typing software, your time has come. 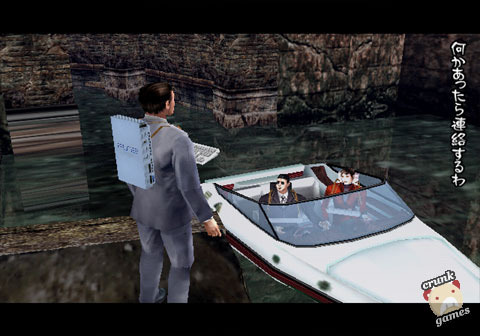 Nothing will look or feel different for Zombie Panic, though — everything still follows the plot of House of the Dead 2, except with that typing twist. Zombies accost you with words and phrases attached and it’s your job to shoot them down through the non-violent method of typing (but they still rightfully explode in green goo, of course). Not much else has changed, other than the heroes’ tongue-in-cheek replacement of their guns with keyboards and Dreamcasts; now they wear pastel PS2s on their backs. But all is not lost, for Zombie Panic also includes a couple of new modes carried over from the PC editions that the DC version lacked. 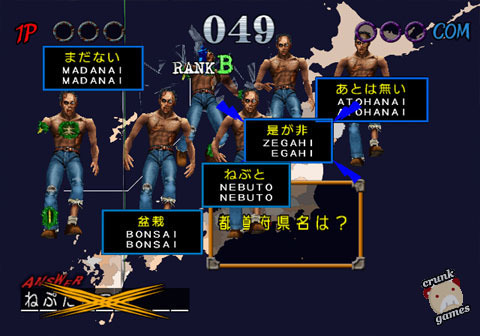 First is the Mini-game mode, which contains nine activities for 1 or 2 players. Here you’ll be challenged to type in the correct word related to an onscreen phrase or placed in a bizarre Memory-type game. There’s also Attack mode, which isn’t too different, offering the boss attack from the original and a time attack where you madly type as well as you can to match the specified time. 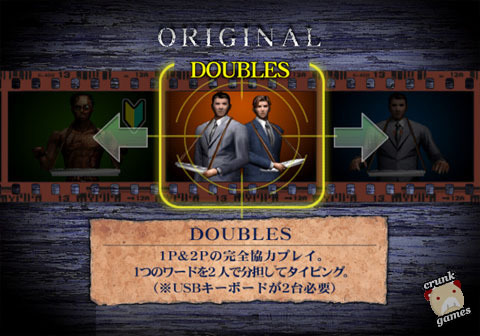 Arcade and Original modes are here too, plus the PS2-exclusive Doubles game.